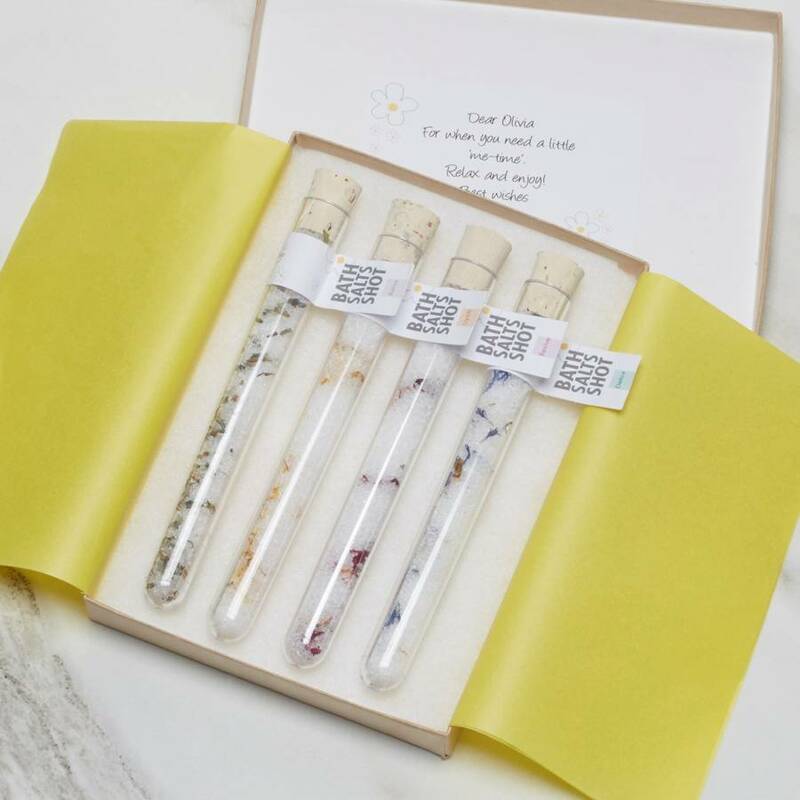 A fun gift set of 4 individual test tube shots filled with therapeutic aromatherapy bath salts. A new take on a bathtime classic. 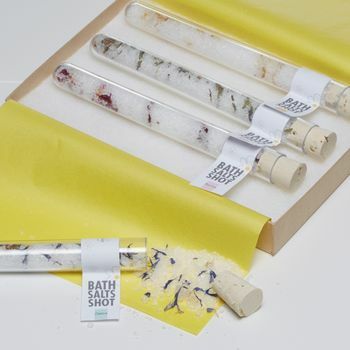 May it be a thoughtful gift for mum or an extra special birthday gift for friends our aromatherapy bath salts gift set is the ideal gift for her. Our hand-blended bath salts contain Dead Sea salts, magnesium rich Epsom salts and botanicals all scented with pure essential oils. Each Aromatherapy Bath Salts Shots Gift Set contains one of each of our popular aromatherapy blends: Relax, Revive, Uplift and Detox. 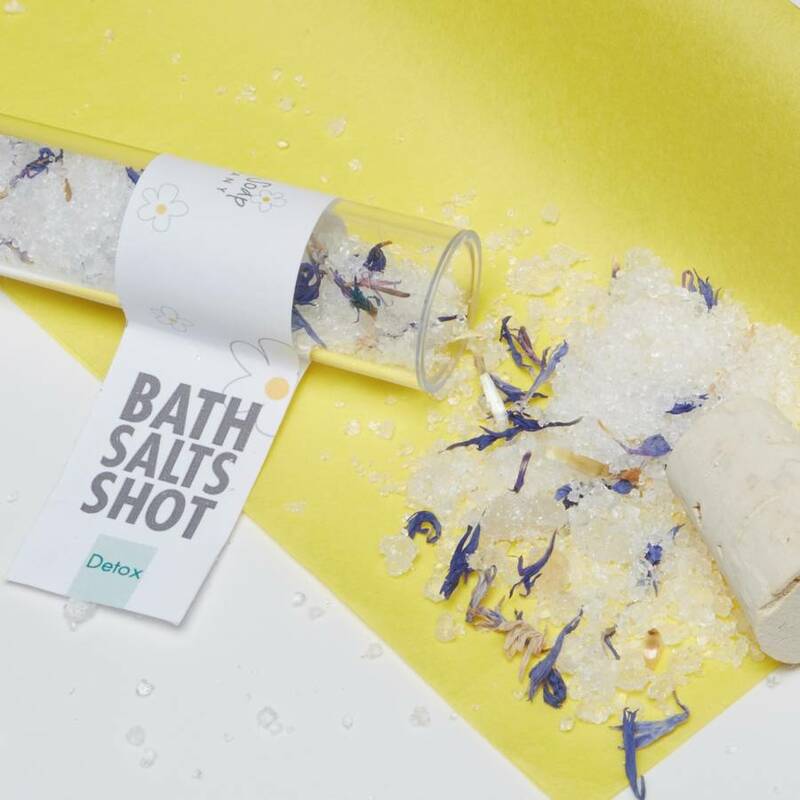 Each bath salt shot contains enough for one therapeutic soak. If you'd like to personalise your gift we can add a message to the box. Just let us know what you'd like to say. 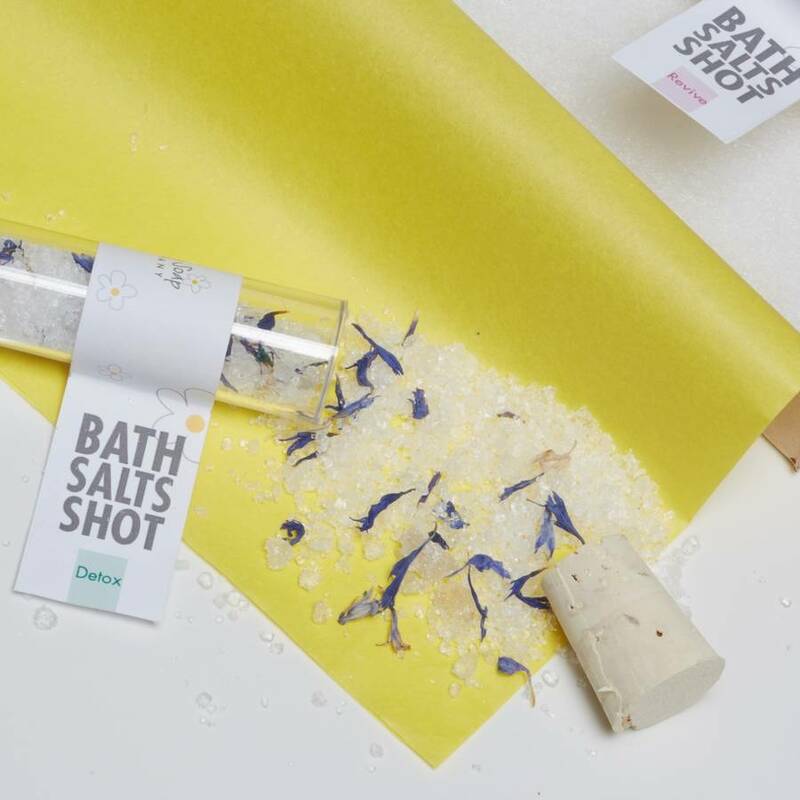 This Aromatherapy Bath Salts Shots Gift Set is a great idea for a Christmas present with a difference. All our bath salts are handmade with love and care using natural salts and pure essential oils. No parabens, no mineral oils and no synthetic fragrances. Each clear plastic test tube contains approx. 20g. Each tube is 1.7cm in diameter and 15cm long.